Rudolf Steiner introduced groundbreaking ideas in realms of spirituality, art, education and agriculture. Check out this biography to know about his childhood, family life, achievements and other facts related to his life. While describing Rudolf Steiner, it is rather easy to list the fields in which he failed to excel than explain the areas in which he was a master. A philosopher, a theologian, an educationalist, an agricultural expert, an architect, an expert in medicinal plants, a dramatist, an authority on Goethe and a blessed artistic trendsetter, the areas of his interest and expertise are almost endless. Born to a Southern Austrian Railway employee, his early years were spent in moving from place to place, which helped to nurture his inquisitive mind. Realizing his potentials, his father sent him first to a realschule in Wiener Neustadt and then to Technische Hochschule at Vienna. During this period, he read extensively outside his curricula and was greatly influenced by Goethe. Eventually he gained recognition as a literally critic and started publishing several philosophical works, which began to be appreciated by the critics. Later, when the German section of the Theosophical Society was opened, he was made its General Secretary and it was mainly due to his efforts that it underwent rapid expansion. However after around a decade, religious disagreement with other leaders forced him to leave the society and establish the Anthroposophical Society, which too began to expand rapidly. Unfortunately, he also had powerful enemies and because of them he left Germany to spend his last days in Switzerland. Rudolf Steiner was born on 27 February 1861, in Donji Kraljevec, then under Austro-Hungarian Empire, but now a part of northern Croatia. However, many biographers are of the opinion that he was actually born on 25 and baptized on 27. His father, Johann Steiner was originally a gamekeeper in the service of Count Hoyos in Geras while his mother, Franziska Blie, was a housemaid in the Count’s household. As the Count refused to give them permission to marry, Johann left his job to become a telegraph operator with the Southern Austrian Railway. It was while Johann was posted at Kraljevec that Rudolf, the eldest of the couple’s three children, was born. Around one and half years after this birth, the family moved to Mödling, near Vienna, and then after another six months to Pottschach. Here Johann was posted as the stationmaster. The station, located in the foothills of the eastern Austrian Alps in Lower Austria, offered a wonderful view and little Rudolf grew up appreciating beauties of nature. It was also here that his two siblings, a sister and a brother, were born. When he came of age, Rudolf was sent to the village school. But he never liked the schoolmaster and made up his mind that he had nothing to learn from him. Later, his father too had an altercation with the master and thereafter, he withdrew Rudolf from school. In 1869, shortly after the above mentioned incident, his father was transferred to Neudörfl, a little Hungarian village near Wiener-Neustadt. It was here that eight-year-old Rudolf first received his formal education, again at a village school, where he studied up to 1872. Meanwhile in 1870, when he was nine years old, he had his first spiritual experience. He saw the spirit of one of his aunts, who had died in a far-off town, asking for help. Interestingly, till then none of his family knew that the lady had passed away. The incident set him thinking. In October 1872, Rudolf Steiner was admitted to a realschule in Wiener Neustadt because unlike gymnasiums, such schools put more importance to science and modern languages. During this period, he often contributed to the family kitty by providing private tuition in mathematics and science. In 1879, on passing out from school, Rudolf won an academic scholarship and with that he enrolled at Technische Hochschule (Institute of Technology) at Vienna. Here he studied mathematics, physics, chemistry, botany, biology, literature, and philosophy, finally graduating in 1883. Side by side, he also read the works of Johann Wolfgang von Goethe quite extensively and was highly influenced by his philosophy. 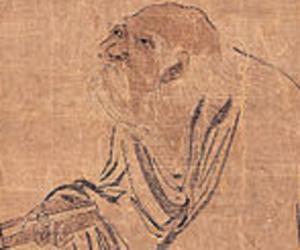 Another person who influenced him during this period was Felix Koguzki, who gathered herbs for his living, but was rich in spirituality and mysticism. In 1882, while Rudolf Steiner was still a student at Technische Hochschule, he was appointed as the natural science editor of a new edition of Goethe’s works for Deutsche National Literatur on the recommendation of his teacher Karl Julius Schröer. It was a great honor because he did not yet have any academic qualification. He spent the 1880s working on a complete edition of Goethe's writings and was able to throw new light into Goethe’s scientific works. ‘The Theory of Knowledge Implicit in Goethe’s World Conception’, published in 1886, is one of his important contributions in this field. Later in 1890, Steiner moved to Wiemar, where he was employed at the Schiller-Goethe Archives. Concurrently, he started working for his doctoral degree, receiving it in 1891 from the University of Rostock. His dissertation was ‘Wahrheit und Wissenschaft’ (Truth and Science), later published as a book. Side by side, he began to study the works of ancient philosophers and slowly began to formulate his own philosophy. He came to the conclusion that experience is located in the mind and everything, including the mental process, can be reduced to matter and its interactions. In 1894, he published his thoughts as ‘Philosophie der Freiheit’ (Philosophy of Freedom). Later he also wrote and published ‘Friedrich Nietzsche, Fighter for Freedom’ and ‘Goethe's Conception of the World.’ The last mentioned book completed his works on Goethe. 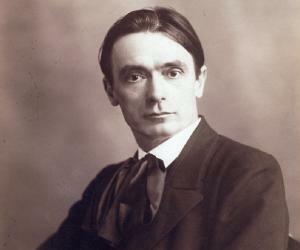 In 1897, Rudolf Steiner moved to Berlin, where he continued to earn his living as the editor of several magazines. Sometime now, he became a part owner of the literary journal ‘Magazin für Literatur’ as well as its chief editor. Hoping to find a readership sympathetic to his philosophy, he began to contribute regularly in the magazine. Unfortunately, his endeavor failed to achieve the desired result. When the subscription began to fall, he left the magazine and took to lecturing. He started teaching at the Arbeiterbildungsschule (School for the Education of Workers) twice a week. He must have enjoyed working here because it allowed him to discuss progressive ideas like universal education and freedom in the perspective of the working class. Some time now, he was drawn to the philosophy of the Theosophical Society and started attending its sessions. Continuing with his writing, he also published ‘Riddles of Philosophy’ and ‘Mysticism at the Dawn of Modern Age’ in 1901 and ‘Christianity as Mystical Fact’ in 1902. 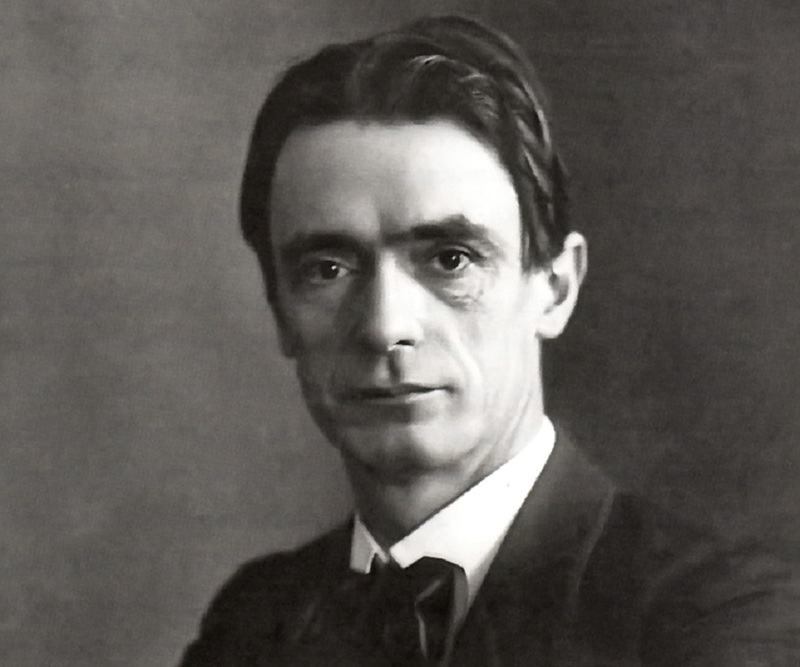 In 1902, Rudolf Steiner became the General Secretary of the newly founded German section of the Theosophical Society. At that time, it consisted of only one lodge. He now started lecturing extensively and it was mainly due to his efforts that it burgeoned into 65 lodges by the time he left in 1912. However, he had his own approach to spirituality. Departing from Madam Blavatsky’s methods, he tried to build the movement on the European esoteric and philosophical traditions. Eventually he also started replacing Blavatsky’s terminology with his own. For example, Steiner used the word ‘anthroposophy’, derived from Greek word meaning ‘human wisdom’, to describe his system of spiritual science. He also wrote a number of books, in which he explained the term; ‘Outline of Occult Science’ (1909) and ‘Outline of Esoteric Science’ (1910), being two of them. Meanwhile in April 1909, far away in India, Charles Webster Leadbeater and Annie Besant of the Theosophical Society found a young boy named Jiddu Krishnamurti. In him they not only saw a world teacher, but also the reincarnation of Christ and started nurturing him. Later in 1911, they established the Order of the Star in the East (OSE) with Krishnamurti as its head. Steiner could not accept that and so in 1912, he broke away from the Theosophical Society. Majority of the German section went with him. On 28 December 1912, Rudolf Steiner along with a group of prominent German theosophists founded the Anthroposophical Society. Their aim was to pursue a more western path of spirituality than the Theosophical Society used to do. The new society began to grow rapidly under Steiner’s leadership. In 1913, Steiner began to design the world center for the society to be located in Dornach near Basel in Switzerland. Christened Goetheanum, the work started in the same year and was completed in 1919. All through the war years, members belonging to different nationalities, worked side by side without any animosity. In 1919, as the World War I ended, Stein began to lecture extensively. Also in the same year, he opened the first Waldorf School in Stuttgart, Germany, which later grew into an international network of independent schools. 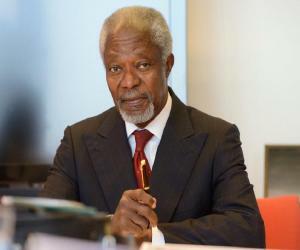 Besides, he built homes for children and adults with development disabilities, started organic farming, evolved a broad range of complementary medications and supportive therapies. However, along with his loyal followers, he also had a fare share of critics. From the early 1920s, Steiner began to face extreme hostility. While Adolf Hitler called him a tool in the hands of the Jews, others called for a war against him. His meetings started being disrupted. It reached such a level that in 1923, he was forced to leave Berlin. Even before that, the first Goetheanum, made out of timber and concrete, was destroyed by fire on 31 December 1922. Although no specific reason could be discerned, the Nazis were blamed for it. However, the incident could not subdue his spirit; he started designing another, this time with concrete. To counter the criticism, he continued lecturing, often two, three or four times a day. They were mostly on practical things such as education. His last lecture was held on 24 September 1924. Thereafter, he had to give up his speaking activities due to illness and concentrated on writing his autobiography. Rudolf Steiner is best remembered as the founder of Anthroposophical Society. Established towards the end of 1912 with only three thousand members, the Society has grown into an international organization within a century, having a total membership of 52,000 with formal branches in fifty countries and informal branches in another fifty. He is also remembered for his 1894 book, ‘Die Philosophie der Freiheit.’ Translated in English as ‘Philosophy of Freedom’, ‘The Philosophy of Spiritual Activity’ and ‘Intuitive Thinking as a Spiritual Path’, the work seeks to clarify whether and in what sense, human beings can be called truly free. The educational method he had pioneered in his Waldorf schools is another of his major works. It is the result of a lifetime of innovative thinking. The concept has spread slowly but steadily around the world since he opened the first Waldorf School in Stuttgart in 1919. In 1899, Rudolf Steiner married Anna Eunicke but the marriage later ended in separation. Anna died in 1911. Subsequently, Steiner met Marie von Sivers, an actress from the Baltic region and also an anthroposophy devotee. They got married in 1914. Towards the end of his life, Steiner suffered from an unknown stomach ailment. Although some believed that he had been poisoned, he never encouraged such thoughts. He died on March 30, 1925, at Dornach, Switzerland. 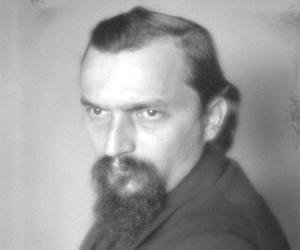 His popularity even after his death was such that in the 1930s, the government in Germany banned Steiner’s books and prohibited the German Anthroposophical Society. By 1941, they had also closed down Waldorf schools. Yet, they could not curb the movement.